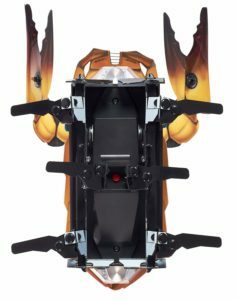 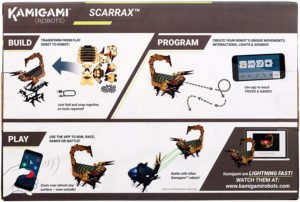 Kamigami Scarrax Robot is now available at Amazon.com for just $10.29 (REG $49.99) (As of 02 February 2019, 20:05 PST – Details) with $39.70 (79%) Savings. 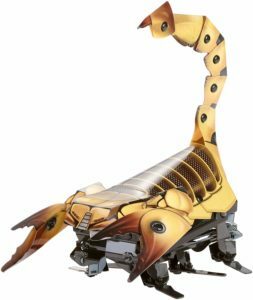 Kamigami is a build-it-yourself robot platform using foldable plastic material! 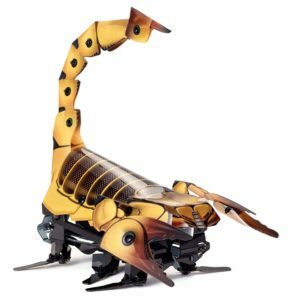 Designed after nature’s fastest critters, they magically fold up from a flat sheet & zoom over almost any terrain, even outside. 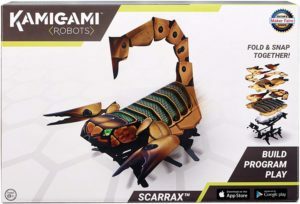 Download the free app from your favorite app store to drive your Kamigami, battle with friends, play interactive games, or, best of all, design and program your robot’s reactions, games and movements. 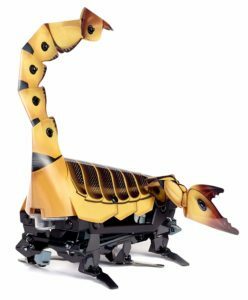 The visual programming interface makes it easy to blink lights, play sounds and maneuver around obstacles. 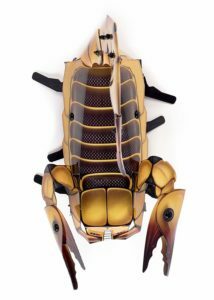 The app will continually offer new updates and game suggestions, so there’s no room to get bored. 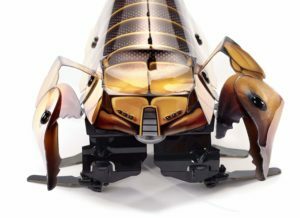 Kamigami are light as a feather and quick as a bug!